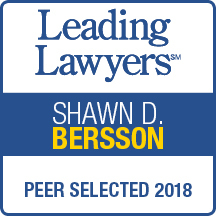 Shawn Bersson approaches each matrimonial law case in a straightforward manner in order to achieve the most efficient and cost-effective results for his clients. He recognizes that every case has its own unique circumstances and every client has goals that may require a different approach. While preparing a case, Mr. Bersson attempts to reach a favorable settlement for his clients and minimize the financial and emotional hardship of the process. He also realizes that not every case will settle, and he approaches each case with an eye not only to preparing for trial, but also to create and preserve a record in the event of an appeal. Mr. Bersson concentrates his area of practice in all aspects of family law at the trial and appellate levels. He has successfully represented clients in premarital agreements, complex financial matters, custody, support, division of property, domestic violence, contempt and enforcement proceedings, as well as numerous appeals. Mr. Bersson is a sought-after lecturer and leads Continuing Legal Education classes regularly. He is a member of the Illinois State Bar Association, the American Bar Association, the Chicago Bar Association and Decalogue Society. 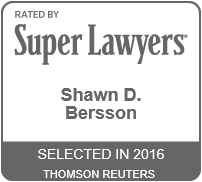 For the past three years, Mr. Bersson has been recognized by his peers and named a “Rising Star” attorney by Illinois Super Lawyers. 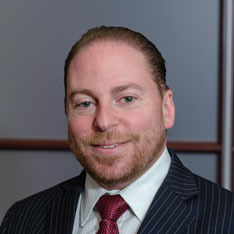 Shawn D. Bersson joined Katz & Stefani in 2009 and was named partner in 2011. Mr. Bersson began his career in family law in 2000 as a law clerk. Mr. Bersson is admitted to practice law in Illinois.